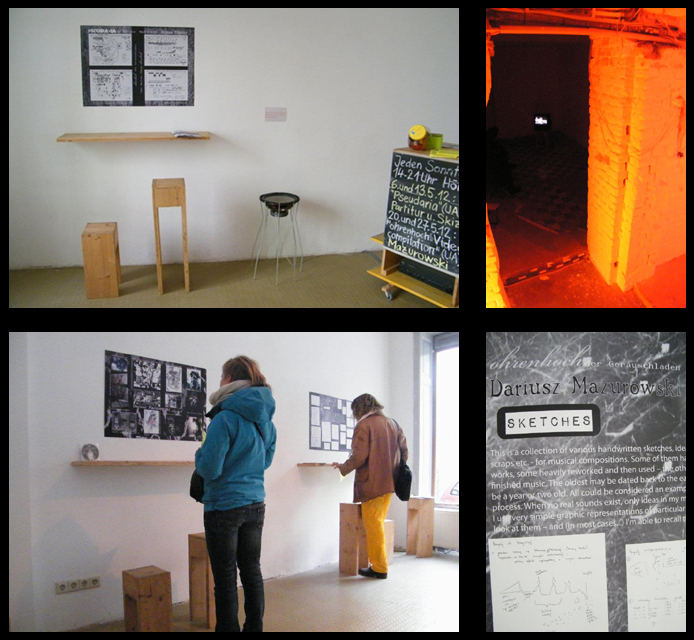 An audio installation, to be played in loop mode, is scheduled for four following Sundays in May 2012, in Berlin-Neukölln. Location : ohrenhoch, der Geräuschladen sound gallery (http://www.ohrenhoch.org/), open between 2 and 9 PM (the entrance is free). Also some scores, sketches and graphics will be exhibited with the audio material. Above mentioned installation will be available also via Livestream. More details soon. Selected compositions will be aired by Czech Radio (Vltava station : http://www.rozhlas.cz/vltava/portal/) on two following Saturdays – 11th and 18th of February 2012. Broadcasting time of this periodic radio program, Radioatelier, is 0:05. Broadcast is also available via internet – just click iRadio. More details soon. November 24th, 2011 – General Assembly of Polish Society for Electroacoustic Music at the Academy of Music in Krakow. The same day, also at the Academy of Music, we had a concert of Polish electroacoustic music, including my compositions also. This event (a part of well known Audio Art festival) was dedicated to the memory of Hector Fiore, member of PseME, who passed away in August 2011. 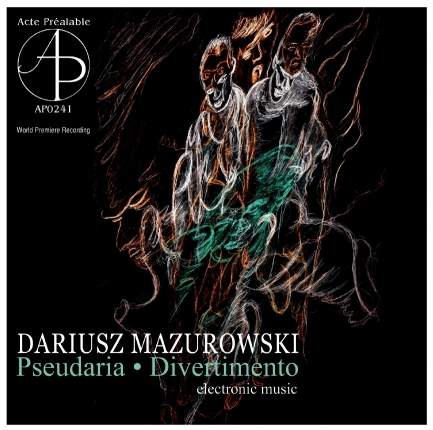 Brand new Pseudaria / Divertimento CD is available now. Album has been released by The Acte Préalable Publishing House (cat. number AP0241). For more information (ordering, etc.) visit label website : http://www.acteprealable.com/. Album is available worldwide through various distributors – check : http://www.acteprealable.com/subpages/03_distributors.html and http://www.acteprealable.com/subpages/04_how_to_buy.html (ordering info).